"Missouri's Legislature is Overwhelmingly Republican and so is St. Charles County. ~73% of St. Charles County voters banned traffic cameras -- so should the state legislature," says former red-light camera judge. By an overwhelming percentage, voters in St. Charles County approved a countywide ban on the use of Red Light Cameras. Final unofficial returns showed that 69,456 people voted YES to ban the use of the cameras at intersections and only 26,218 voted against the ban. Nearly 73% of the electorate voted for the ban. 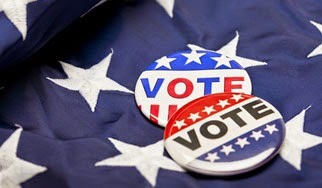 The St. Charles County Council placed the referendum, sponsored by County Councilman Joe Brazil, on the November ballot earlier this year, with the help pf a grassroots effort by St. Charles County Attorney Michael Carter. Carter, a former municipal judge who dealt with Red Light Camera cases, has been an outspoken opponent of Red Light Cameras which he feels violate a person's legal rights, have proven to cause more accidents, and are simply a cash cow for local municipalities. Michael Carter personally mailed tens of thousands of St. Charles County residents to notify them when the County Council was taking up Brazil's bill and urged them to attend the meeting and to contact their County Council members. Carter also became a spokesperson for the grassroots movement, appearing frequently on talk shows and in the press. Carter was overjoyed at the result, "We were certain that once this issue got in the hands of voters they would send the politicians defending Red Light Cameras a strong message. Tuesday the voters of St. Charles County not only voted to ban the use of Red Light Cameras in our county, but sent a strong message to elected officials that a statewide ban is needed." The City of St. Peters was the only community in St. Charles County still using Red Light Cameras. Following the issue being placed on the ballot, the city suspended their use pending the resolution of legal issues. Carter said his personal crusade wouldn't end until there was a statewide ban. 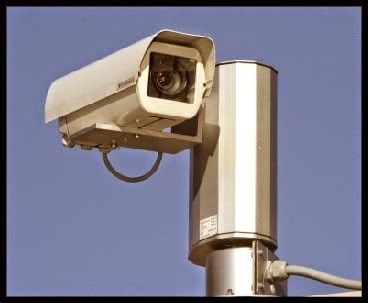 Meanwhile, the largest of the Red Light Camera firms nationally, is facing charges of corruption in Chicago involving bribery of elected officials. "For the Red Light Camera industry and their friends in various municipalities and the legislature, this was never about safety. It was all about the money to made," Carter insists.